Boys of all ages enjoy wearing the latest jacket styles throughout the year. Whether it is to be seen on the playground or simply to stay warm when hanging out on the weekends, there are certain jacket trends that stand out. 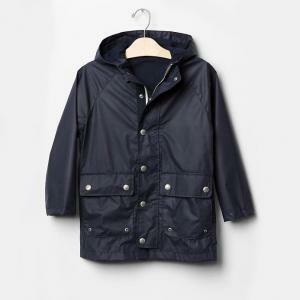 You can find jackets for boys in a wide range of styles, colors and prices. From classic jean jackets to trendy hoodies, there are plenty of jacket options to consider. Whether you are looking for an added layer of warmth or want to add a stylish touch to an outfit, there are jackets for boys that can match any need. Boys can find rugged, durable jackets that look great and will hold up to any activity. Some of the most popular jacket styles are as follows. There is nothing cooler for a boy to wear than a jean jacket. 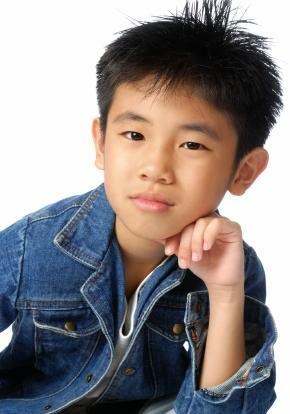 This style of jacket has been around forever and continues to be a favorite for boys of all ages and sizes. From classic blue denim to trendy washes and colors, you can find jean jackets in a range of styles. These jackets appeal to boys, no matter how old they may be, and remain popular and cool to wear year after year. 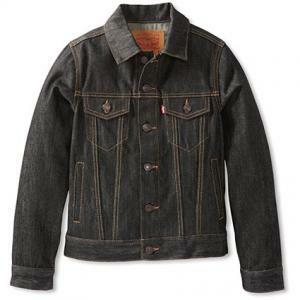 Levi's Trucker Jacket: This classic denim trucker jacket, priced around $40, is available in big boys' sizes S to XL, as well as in little boys' sizes four to 7X. This style is made from 100% cotton and is crafted in a medium weight denim designed to be rugged and durable. It features classic Levi's styling with silver-tone buttons and contrast-edge stitching. Gap Denim Jacket: Made from soft, medium-wash premium denim and priced around $32, this adorable jacket is available in toddler boy sizes up to five years. This style features button cuffs at the sleeves​, a full bu​tton-up front, and ​rea​r button t​abs on each sid​e of the jacket. Whether it is for back-to-school or for playing outside, a rain jacket is a must for any young boy. Popular rain jacket styles are lightweight, water-resistant and done in bold colors and fun prints. Infants, toddlers and school-aged boys can enjoy wearing a rain jacket any time the weather is calling for some rain. The appeal of a rain jacket is that it is so lightweight that boys can easily pack it into their backpack when they aren't wearing it. Lands' End Navigator Colorblock Rain Jacket: This fun rain jacket, priced under $30, is available in prints such as camo with solid navy contrast or berry basket with royal blue contrast. It comes in little boy sizes four to seven and big boy sizes eight to 20. What makes this jacket great for boys of all ages is the durable tear-resistant nylon and handy back pocket that turns into a storage pouch. Zip-up hoodie jackets are both practical and trendy. A zipper hoodie is not only warm and ideal for layering but looks great when worn with jeans and a simple tee. These stylish jackets are a must have for boys, no matter what their age, and are sure to be seen throughout the school year. Younger boys will appreciate the added warmth, while older kids will love the stylish addition to their wardrobe. You can find zip-up hoodies that are lined with fleece or faux fur for extra warmth. Solid colors are popular, as are styles that feature graphics and logos. Hoodie jackets are a staple for many boys and can be found at most department and sporting good stores, as well as discount stores. No boy will want to be without this must-have for the school year. Old Navy Logo Zip-Front Hoodie: This classic hoodie is available in sizes extra small to XXL. It is priced around $25, making it an affordable and practical option. This style comes in colors such as black, blue and light gray and features a tone-on-tone logo. Made from soft fleece, this hoodie jacket has a full zip front and warm front pockets. Abercrombie Kids Quilted Hoodie Jacket: Priced around $60, this hoodie jacket has gray sleeves with the Abercrombie patch and comes in your choice of black or navy for the quilted vest part. It is available in sizes XXS to XL and is a must for back to school, since it can be worn in the fall up until the weather turns colder. Versatile fleece jackets are ideal for any active boy. Kids can wear a fleece jacket alone when the weather gets cool or use it as a liner for a ski jacket or parka when the temperatures really drop. Fleece jackets are super soft and comfortable, and you can find them in a variety of styles. This is why they are one of the most popular options to consider for your child. 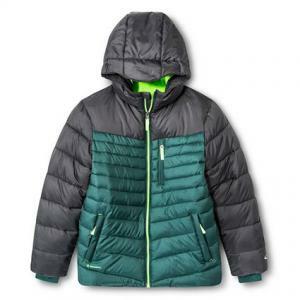 The Children's Place Trail Jacket: This glacier fleece trail jacket comes in a wide variety of colors, such as solid black, solid navy, orange with navy and green with navy. It is priced around $18 and comes in sizes 3T to 5T. This fleece jacket has a full zip front and has elasticized trim at the sleeves, pockets and bottom hem. Columbia Steen Mountain Zip Fleece: This warm fleece jacket is priced around $25. It is available in boys' sizes XXS to XL. It can be found in bold colors such as green, red and blue, as well as in classic colors such as black, navy and gray. This fleece jacket is done in a classic fit and features secure zipper-close pockets, cuffed sleeves and the Columbia logo on the side of the chest. A puffer jacket is a must once the weather gets cooler. This style of jacket is made from nylon and lined with down for a quilted look. Puffer jackets are designed specifically to hold up to snow and low temperatures during the coldest months of the year. You will see these jackets popping up everywhere from school to the ski slopes. C9 by Champion Puffer Jacket: Sold at Target, this puffer jacket is priced around $40 and comes in sizes extra small to extra large. It features a full length zipper in the front and is fully lined for added warmth. This style comes in colors such as ebony camouflage, green, blue and black with gray. This jacket is wind and water resistant and has a comfortable, regular fit that reaches to the hips. Columbia Powder Light Puffer Jacket: This jacket is priced around $60 and comes in sizes XXS to XL. It is available in colors such as blue, black, gray, red and orange. This style is super lightweight, repels water and stains and has an adjustable storm hood that is permanently attached to the jacket. A new jacket is a great investment, especially when you purchase one that is stylish and practical. Boys can keep warm in a jacket that looks great on and keep up with the season's latest trends at the same time.